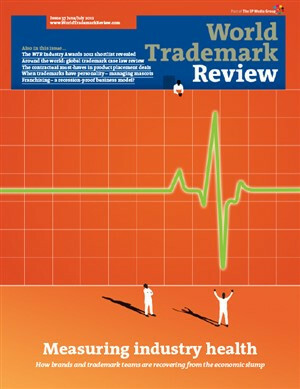 Since its launch in 2009, the Global Trademark Benchmarking Survey has revealed the brutal effects of the global economic downturn for trademark teams and counsel. This year, there are tentative signs of a rebound. But is all as it seems? Proliferation of trademarks – good, bad or just plain inevitable? On May 26 2011 the Supreme Court of Canada released its decision in Masterpiece Inc v Alavida Lifestyles Inc (2011 SCC 27) and, in so doing, clarified important legal principles concerning the interrelationship in Canada between common law trademark rights and those rights which flow from registration. Prior to this decision, very little jurisprudence had dealt with the differences, overlaps and interrelationships between rights flowing from registration and those existing at common law through use. What do Columbus, the Americas and new gTLDs have in common? With a number of EU countries reviewing their position on the Anti-counterfeiting Trade Agreement (ACTA), the act is to be referred to the ECJ to assess whether it is compatible with the European Union’s fundamental rights and freedoms. The Canadian Intellectual Property Office (CIPO) has announced that it is now accepting applications to register sound marks. With a consultation period on the country’s Trademark Regulations ending on April 23, there could soon be further changes to the treatment of non-traditional marks. The US Department of Commerce has issued a report identifying the sectors that generate intellectual property and the impact of those sectors on the US economy. At a time when the debate over IP rights rages on, the study sheds light on the contribution of intellectual property to economic performance – with trademarks playing a central role. Near monopoly for BOTOX mark? In Helena Rubinstein SNC v OHIM (Case C-100/11 P), Advocate General Mengozzi has confirmed the General Court’s finding that the marks BOTOLIST and BOTOCYL would take advantage of the distinctiveness and reputation of the earlier BOTOX marks. In Celaya Emparanza y Galdos Internacional SA v Proyectos Integrales de Balizamiento SL (Case C- 488/10), a reference for a preliminary ruling by a Spanish court, the Court of Justice of the European Union (ECJ) has clarified the scope and effect of Article 19(1) of the Community Design Regulation (6/2002) in court proceedings brought by the holder of a registered Community design (RCD) against the holder of a later RCD. Could Canada’s sound decision lead to a new approach on non-traditional marks? The Canadian Intellectual Property Office (CIPO) has long struggled with concepts related to registrations for non-traditional trademarks. The dispute between Apple and Proview over the IPAD mark was ongoing as WTR went to press. However, it offers some important learnings for brand owners.